to get the store owners to effectively use the advertising posters and diecuts given or sent to them. particular season of the year. A dealer could then order what they could use at no cost. display photographs were received in 1923! Age and the Saturday Evening Post. believed that Remington did not sell firearms directly to customers. these retailers buy from Remington’s major dealers. 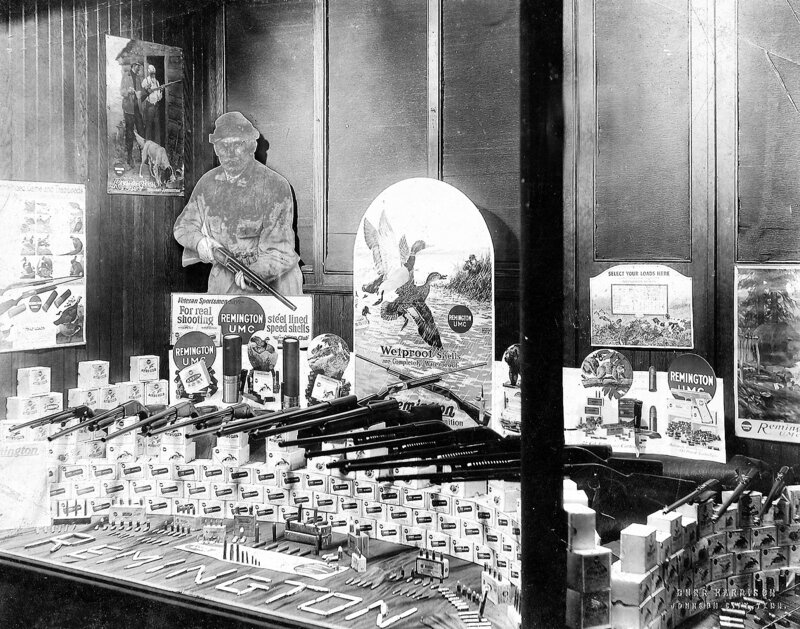 firearms and ammunition in the early part of the 20th century. and sporting goods stores. 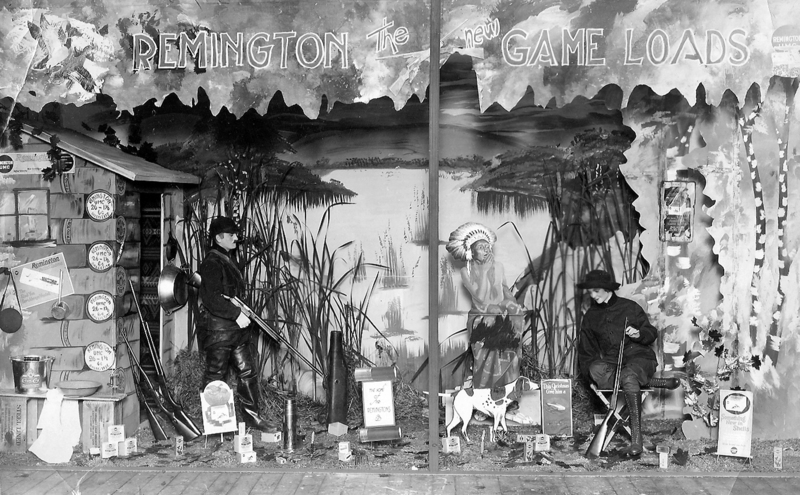 Remington supplied the owners with many varieties of advertising signs and handouts. This is the earliest photograph in our collection showing a hardware store front window display in 1908. Images like this help us to date the advertising diecuts and signs. Hardware Magazine – September 25, 1908. 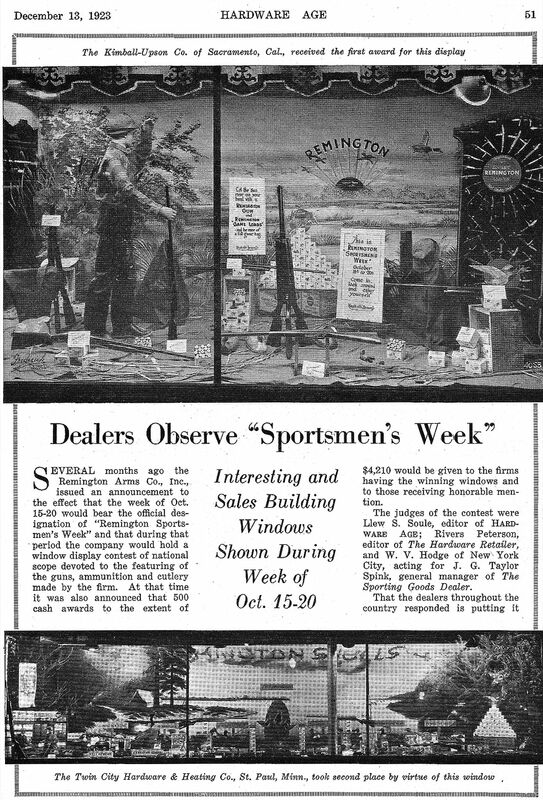 Dating from the 1911 time period is this magazine photograph of a long forgotten store display window. Patriotic storefront display at the Central New York Power Corporation – Ilion, New York – circa 1943. 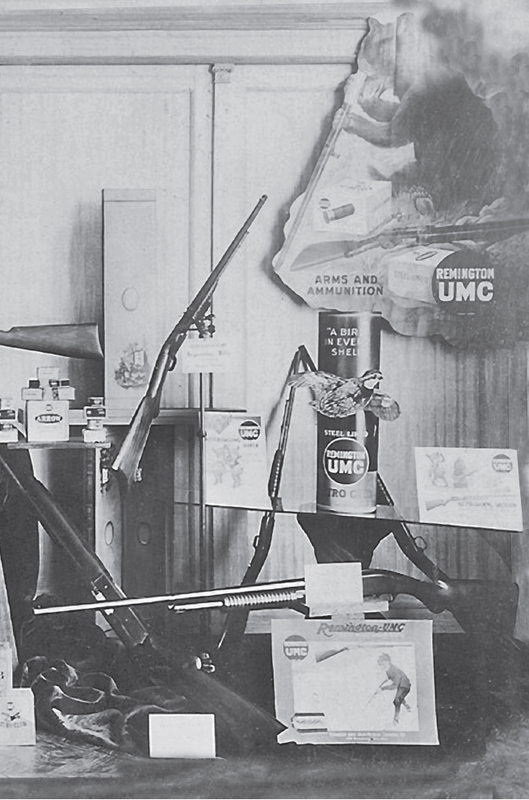 Reminton Arms Company display in an undisclosed storefront in downtown Ilion, New York during the companyâ€™s 150th Anniversary in 1966.